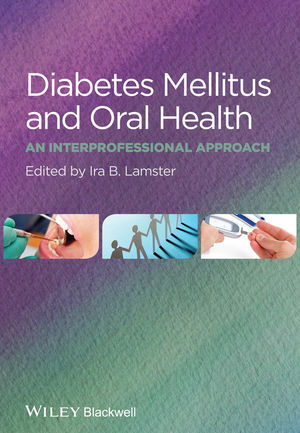 Diabetes Mellitus and Oral Health: An Interprofessional Approach is a practical tool for dentists and dental hygienists providing oral health care to patients with diabetes mellitus. Firmly grounded in the latest evidence, the book addresses medical considerations, dental considerations, and case scenarios from clinical practice in three easily accessible sections. The first section on medical considerations reviews the definition of diabetes and discusses underlying pathologic mechanisms, classification, diagnosis, and medical complications of the disease. It also promotes the comprehensive management of patients with diabetes in the dental office, with a thorough discussion of lifestyle changes and medications used to treat diabetes. The second section on dental considerations provides guidance on how treat patients with diabetes. Oral complications will be covered in detail, with a focus on management and treatment strategies that can be used in the dental office. The third section includes multiple case studies illustrating common complications and how-to instruction on appropriate patient management. Ideal for all members of the dental team, Diabetes Mellitus and Oral Health is an essential tool for providing optimal clinical care to patients with diabetes. Ira Lamster, D.D.S., M.M.Sc. is Professor of Health Policy & Management at the Columbia University Mailman School of Public Health, and Dean Emeritus of the Columbia University College of Dental Medicine. Prior to becoming Dean, he served as director of the Division of Periodontics at Columbia. Dr. Lamster has extensive experience in oral health research, particularly in the area of oral health and systemic disease. He has served on the editorial boards of the Journal of Periodontology and Journal of Clinical Periodontology and is a Diplomate of both the American Board of Periodontology and the American Board of Oral Medicine. Dr. Lamster has published numerous peer-reviewed articles and the book, Improving Oral Health for the Elderly.